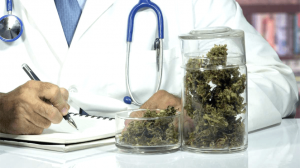 Home » Uncategorized » Ohio’s First Wave Of Approved Medical Marijuana Doctors Is Here! Finally, after almost 2 years after the bill was signed into law, we have our first round of certified & approved Ohio Medical Marijuana doctors by the actual Ohio State Medical Board under HB523! On Tuesday, April 10th, 37 physicians were granted the authority to recommend medical marijuana to Ohio patients based on 20 ailments covered under HB523! Prior to this there were a couple of rogue clinics that would get you an “affirmative defense” card for $300 that was only good for 90 days. Hardly a real, recognized Ohio Medial Marijuana Patient Card. As the program just crossed over a major hurdle, Ohio medical marijuana patients will still not be able to find any actual medical marijuana in the state of Ohio. The program is supposed to be up and running by September 8th, 2018. Many industry insiders think we are still a year away from a full up and running industry, the Department of Commerce insures everyone that even though it may be a skeleton industry, it will be up and running come this September. We will list all of the doctors with their contact info and office location on our Doctors page. We will also be publishing interviews with those that are comfortable with being on camera. All in all, a big leap forward, but Ohio is still currently stuck in the mud. But we are getting closer to patients having access each and every day with the final count down just a few months away. Here is the current list – we will refine it, including adding contact info & profiles for the doctors as we have the time to input the data.